Marriage isn’t flawed, I am. Broken. Rejected. Destined for heartbreak. These are all emotions and thoughts that continually run through my mind as I look at my life after a failed marriage; emotions that run alongside the financial and emotional hardship I’ve endured while raising two kids on my own. Upon quick reflection, it would appear that my present circumstance is in direct contrast to what the Bible says about marriage. For example, Proverbs 18:22 says, “He who finds a wife finds a good thing and obtains favor from the Lord.” Let me tell you that my marriage didn’t end well, and I definitely don’t feel like I “obtained favor from the Lord.” In fact, it can be a real struggle getting up every day and pressing forward. The perpetual loneliness as a single parent is not for the faint of heart. However, who is to blame? My first response was to blame God, and I was angry with him. How could this union of such high esteem in the Bible bring so much pain? Why would God let me fail and let two children be raised in a broken home? How could God leave me alone to deal with my children when they are acting out or are in tears from the separation of their mom and dad? I told myself that I would never marry again, but did God really leave me alone and cause this? No, he didn’t. The outcome of my marriage was the direct result of selfishness on the part of me and my ex-wife. It wasn’t the institution of marriage or God that failed me. I think marriage gets a bad rap because it’s easier to blame something other than ourselves. The truth is marriage brings stability because there is supposed to be an unrelenting commitment between a husband and a wife that’s safe for love to grow and mature; it’s a model of our relationship with Jesus. Could you imagine if Christ gave up on us because of our selfishness? Heaven would be empty just like my home feels empty at times. I’ve had to deal with the pain from divorce between my ex-wife and I because of poor and selfish marriage choices. However, that doesn’t mean that the concept of marriage is flawed. It means that I need to be redeemed from my selfish self. I have to shift my thinking about marriage to look at the unrelenting selfless love of Christ extended to me as the example of the love I should have for a wife and for my children (1 John 3:16). In 1 Peter 1:3-13, we are told that we are “born into a living hope…who by God’s power are being guarded through faith for a salvation ready to be revealed,” and to prepare our minds by “setting our hope fully on the grace that will be brought to you at the revelation of Jesus Christ.” Sandwiched in between those two verses is a discussion on heartache and life’s grief, but Peter tells us that these “trials…result in praise and glory and honor at the revelation of Jesus.” This means that the hardship from my failed marriage inevitably pointed me to my need for Christ just as much as a successful marriage represents his perfected union with us. These verses give me hope that I will one day be able love as fully as Christ does. I have every reason to be bitter over the idea of marriage, but I’m not. I believe that marriage is the institutional example of our relationship with Jesus (Eph. 5:25-33). Marriage reminds us of the perfect union we have with Christ because of his selfless love extended to us through his death, burial and resurrection. God doesn’t make marriage imperfect; I do in my selfishness and my sin. God calls marriage a good thing, and to discard marriage because of mine and other people’s failure to love as Jesus does is an act which devalues the message of the cross. Let me say that again, marriage is good because God calls it good, and he uses it as an example of how to safely love as committed imperfect people. Maybe you are like me, and have experienced a world of hurt from bad relationships. All I can say to you is to find hope that Christ is redeeming you like he is all of us. That’s what I cling to. And I know that if given the chance to marry again, no matter how many times I fail, I’ll strive to have a selfless unrelenting love towards my wife just as God is relentless in his love towards me. 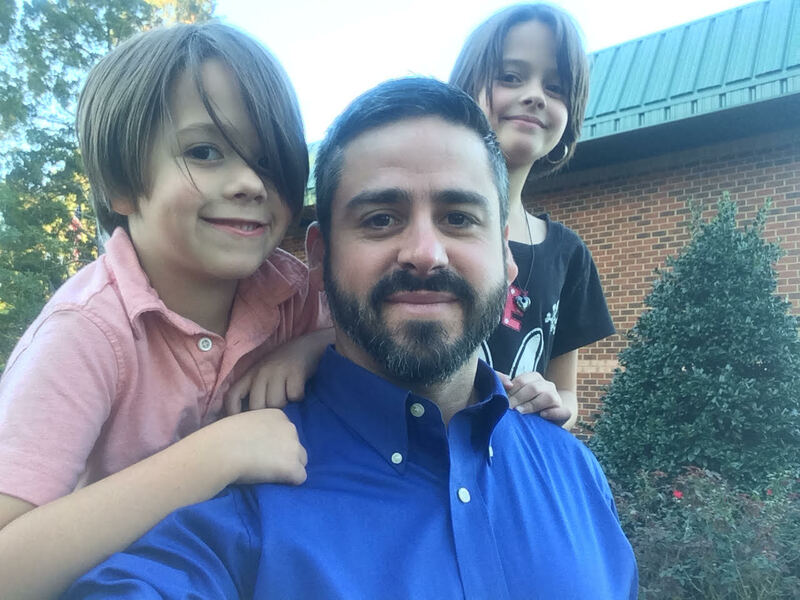 Charlie Davis lives in Gloucester, Va, and is a single father to Charlotte (9 years) and Owen (6 years). He currently works for Davis Realty and Property Management in Yorktown, Va where he aspires to one day take over the family business. For months. I know there’s more to marriage but this is where God laid out first intention. I didn’t have as much blame for God as blame for myself. Maybe I needed some But rest in that God takes Shame away. I try not to analyze too much but be with God through hurtful and sad times. I also went through the time of being upset with marriage institution. And I may still , but God did intend it for good and for pleasure. But not for just that. I also see and rejoice that God can make what was intended for bad , good. Mr. Davis, this is an awesome testimony to Christ’s union with His children and the example we are to follow in our marriages. My husband and I see the heartbreak spouses cause one another when not putting Jesus at the center of their home. I am anxious to share your words with others. Thank you for sharing this. Thank you Mr Davis for sharing an “personal & intimate” part of your life with the world. I myself have gone thru the shame of divorce (as a Christian) because that isn’t supposed to happen to christians right? )……..the thought & feeling of failure is so overwhelming but family support was phenomenal! I knew then WHO were my true friends and not being judgemental with either one of us facing a crisis in our lives. Our boys were already grown but none the less the sting was very real & painful for them. Remarried for 5 yrs and though we deal with selfishness, we at least have recognized it and ask God to continue to help us to humble ourselves according to HIS Word. Your story is an encouragement to us and many others, God Bless! Previous Post Lily Maley’s Redemptive Story of Love. Next Post 10 Definitive Things the Bible Says About Marriage.